When the Bible is no longer viewed as the inspired Word of the Living God, people begin to slide down a very slippery slope. Truth becomes relative instead of absolute. Satan’s favorite question, “Did God really say…. ?” becomes Man’s as well. This world yearns for peace. So many think that if countries and religions and ethnic groups of the world would just get along, then we’d all be so happy and there would be no more war. “Do not think that I came to bring peace on earth. I did not come to bring peace but a sword. For I have come to ‘set a man against his father, a daughter against her mother, and a daughter-in-law against her mother-in-law’ and ‘a man’s enemies will be those of his own household.’ He who loves father or mother more than Me is not worthy of Me. And he who loves son or daughter more than Me is not worthy of Me” (Matthew 10:34-37). Being a Jewish Christian, I have seen this first hand. Many in my family turned against me after I came to faith that Jesus is the Messiah. But I had peace with God. In 2007, a letter was sent to Pope Benedict XVI, from 138 of the leading Muslim clerics in the world. I have chosen to post parts of this letter in this article. The Pope had spoken at the University of Regensburg on September 12, 2006. The letter was in response to the Pope’s speech. In his speech he disparaged Islam. I will say first, that the intent of the letter was to deceive. As I read the first paragraph, I could not help but wonder if the “retirement” or stepping down of Pope Benedict XVI, which had not happened in the Vatican for hundreds of years, was due to his words against Islam from his speech. 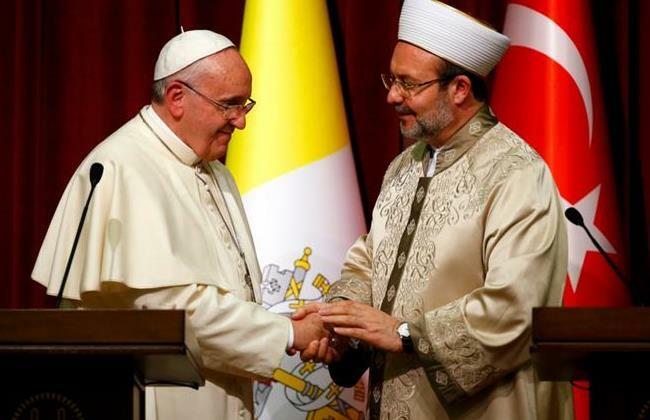 The Vatican has had ties with Islam for years. There is no Compulsion in Religion. There is no compulsion in religion was not a command to Muslims to remain steadfast in the face of the desire of their oppressors to force them to renounce their faith, but was a reminder to Muslims themselves, once they had attained power, that they could not force another’s heart to believe. What is jihad in the Quran? It does not look like a spiritual struggle to me. It looks like terror. As the leader of over a billion Catholics and moral example for many others around the globe, yours is arguably the single most influential voice in continuing to move this relationship forward in the direction of mutual understanding. We share your desire for frank and sincere dialogue, and recognize its importance in an increasingly interconnected world. The writers of the letter call Catholics a moral example for others and the single most influential voice in the world. I call Catholicism a Cult. “Muslims thus appreciate the following words from the Second Vatican Council:The church has also a high regard for the Muslims. They worship God, who is one, living and subsistent, merciful and almighty, the Creator of heaven and earth, who has also spoken to humanity. They endeavor to submit themselves without reserve to the hidden decrees of God, just as Abraham submitted himself to God’s plan, to whose faith Muslims eagerly link their own. Although not acknowledging him as God, they venerate Jesus as a prophet; his virgin Mother they also honor, and even at times devoutly invoke. Further, they await the day of judgment and the reward of God following the resurrection of the dead. For this reason they highly esteem an upright life and worship God, especially by way of prayer, alms-deeds and fasting. Muslims and Christians have not always shaken hands in friendship; their relations have sometimes been tense, even characterized by outright hostility. Since Jesus Christ says, “First take the log out your own eye, and then you will see clearly to take the speck out of your neighbor’s eye” (Matthew 7:5), we want to begin by acknowledging that in the past (e.g. in the Crusades) and in the present (e.g. in excesses of the “war on terror”) many Christians have been guilty of sinning against our Muslim neighbors. Before we “shake your hand” in responding to your letter, we ask forgiveness of the All-Merciful One and of the Muslim community around the world. First of all, it was the Catholics, NOT evangelical Christians who warred with these people in the Crusades. In the present excesses of the “War on terror” many Christians have sinned against Muslims? REALLY? The only peace that Islam demands in the Qur’an is Sharia law placed over every government of every nation. Don’t forget that Islam is really a totalitarian political system, cloaked in robes of religion to deceive the world. Have you noticed that the Jews have been excluded? In the Muslim tradition, God, “the Lord of the worlds,” is “The Infinitely Good and All-Merciful.” And the New Testament states clearly that “God is love” (1 John 4:8). Since God’s goodness is infinite and not bound by anything, God “makes his sun rise on the evil and the good, and sends rain on the righteous and the unrighteous,” according to the words of Jesus Christ recorded in the Gospel (Matthew 5:45). It’s always the devil’s way to take the Word of God and twist it, or use it out of context. Yes, the God of the Bible is Love, but He is also Just and holy and righteous. He cannot abide sin, and we are sinners! Our faith is founded upon the Deity of Jesus Christ, and that He came—God Incarnate—to die for us so that we might be reconciled to our Father in heaven. Since Muslims seek to love their Christian neighbors, they are not against them, the document encouragingly states. Instead, Muslims are with them. As Christians we resonate deeply with this sentiment. Our faith teaches that we must be with our neighbors, indeed, that we must act in their favor − even when our neighbors turn out to be our enemies. 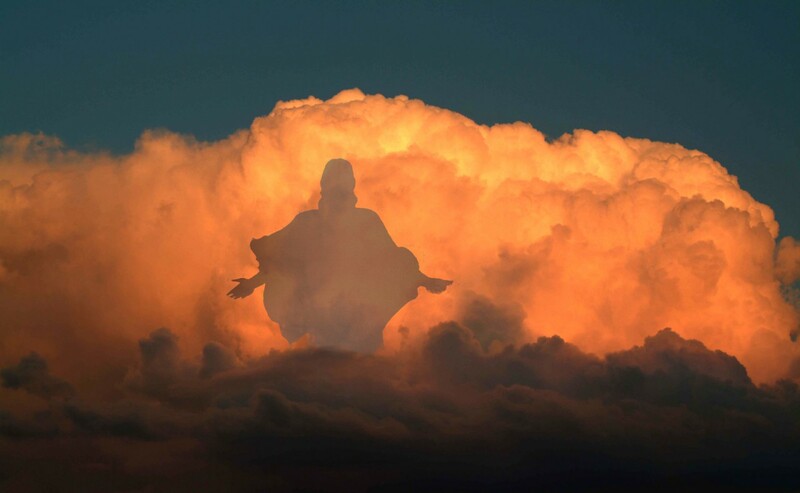 “But I say unto you,” says Jesus Christ, “Love your enemies and pray for those who persecute you, so that you may be children of your Father in heaven; for he makes his sun rise on the evil and on the good” (Matthew 5:44-45). Quran (4:89) They but wish that ye should reject Faith, as they do, and thus be on the same footing (as they): But take not friends from their ranks until they flee in the way of Allah (From what is forbidden). But if they turn renegades, seize them and slay them wherever ye find them; and (in any case) take no friends or helpers from their ranks. Let this common ground − the dual common ground of love of God and of neighbor − “be the basis of all future interfaith dialogue between us,” your courageous letter urges. Indeed, in the generosity with which the letter is written you embody what you call for. We most heartily agree. Abandoning all “hatred and strife,” we must engage in interfaith dialogue as those who seek each other’s good, for the one God unceasingly seeks our good. Indeed, together with you we believe that we need to move beyond “a polite ecumenical dialogue between selected religious leaders” and work diligently together to reshape relations between our communities and our nations so that they genuinely reflect our common love for God and for one another. Can you say: One World Religion? Space does not allow me to post the entire list of the signers of the Yale document. I saved the document into PDF format, to enable me to search for names and denominations. Some of the names of the signers are very familiar to us. Rick Warren of Saddleback Church is one. We are seeing Bible prophecy being fulfilled at breakneck speed. I am praying that many readers of this article will share the information cited here with family and friends who are taking the bait, and believing in this Unholy Alliance. Now, Pope Francis is aligning himself with the Palestinians and with New Agers. He has jumped on the “Global Warming” bandwagon, and it scolding the world for mistreating “Mother Earth.” He has negotiated a special seat in David’s Tomb in Israel. What is next – will he usher in the Antichrist? This Abomination pope is a muslim brotherhood member and SYMPATHIZER!! The pope is Anti-Israel-Yisrael / Anti-Zionism / Very Antiseitism / Anti-Christian and Jewish People / Anti-Christian ( Antichrist )( 1 John 4:3 KJV )!! The FALSE PAGANISM OCCULT-IDEOLOGY of islam is NOT a religion!! The FALSE PAGAN moon god allah-satan is NOT a god!! The FALSE prophet muhammad is NOT a prophet!! Christianity is being DESTROYED by the muslim brotherhood and LEFT-WING LIBERALS! !